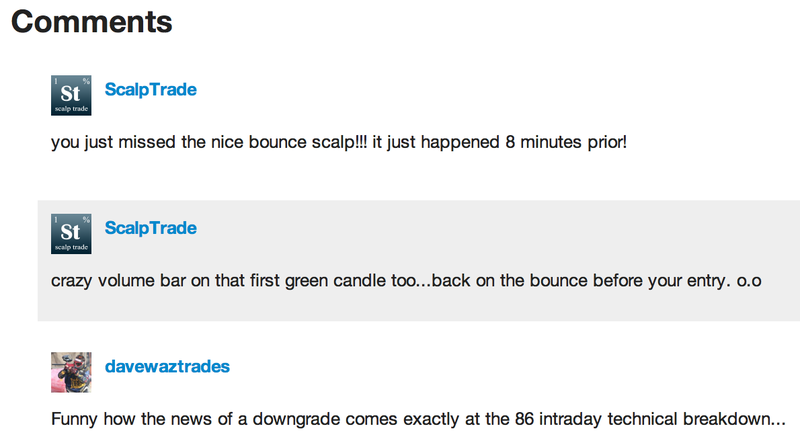 Since its launch, Tradervue has provided a way for users to share trades with the community. This has taken off, and there are now many thousands of shared trades. Since then we’ve introduced a leaderboard of the users sharing the most trades, the top symbols traded, search features, and much more. Some ideas of things to put in your profile would include your trading style, the strategies you use, your blog, etc. Another way to get there is to go to the shared trades page, and search for your username with the search box, just underneath the leaderboard. 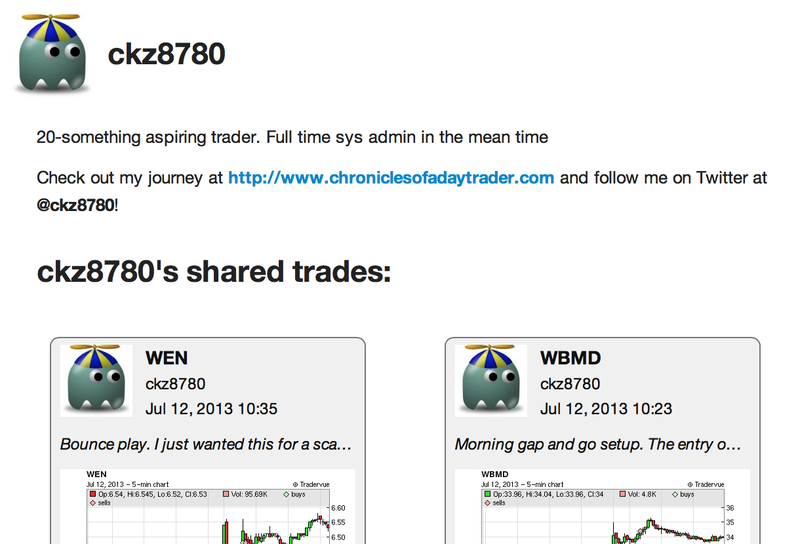 Note that you must have shared at least one trade before your profile is enabled and visible! As always, let us know if you have any questions or suggestions, or just want to say hello!